Doheny Mirror and Artistic Glass has been servicing Beverly Hills, Culver City, San Fernando Valley, and the Greater Los Angeles Area since 1951. We are window glass designers to the Stars. We would like the opportunity create any custom window glass or mirror design for your home or office. We specialize in window replacement, crystal repair, window glass and much more. Our experienced glazier will come to your home for an estimate. Our goal is to provide you with ‘Prompt Service Excellence” and a commitment to “Quality and Attention you deserve”. Window replacement in Los Angeles is an easy way to improve the look and feel of your home while reducing your energy bills at the same time. However, the quality of the window replacement or window repair service varies widely from company to company. This means that, hiring the wrong Los Angeles glass company can lead to poor workmanship that can cause air leakage, water damage or even wood rot. At Doheny Glass, we can help enhance your Los Angeles home with beautiful replacement windows. 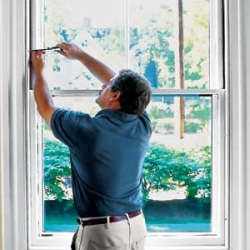 If you're considering replacement windows, don't wait any longer! You will start reaping the benefits right away. From enhancing your home's interior and adding to curb appeal, new replacement windows in Los Angeles will take your home from ordinary to exceptional. We are fully licensed and insured Los Angeles glass company who prides ourselves on providing complete customer satisfaction with our high quality window replacement services. 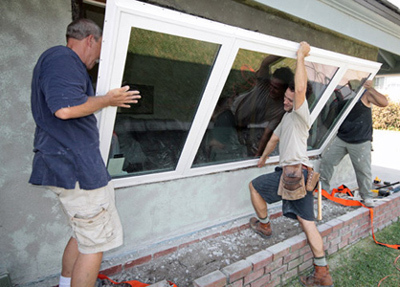 We have a team of professional window installers which means that you will receive the highest standard of quality when it comes to our Los Angeles glass replacement and window replacement services.